Robert Calvert's 1st solo project. 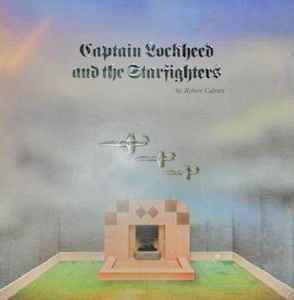 A concept album: Music/Theater - Captain Lockheed alternates between octane guzzlers in the classic Hawkwind vein and Monty Python-like vignettes. Title embossed on cover in silver foil print. Aircraft in artwork embossed on both front and back covers of gatefold jacket. Printed (black paper) insert containing lyrics and dialogue stappled to inside center of gatefold. I have this cover with 2 single sided test presses. Stamped matrix UAG 29507 A-1U and B-1U. Should I make a separate entry for it?